So here we are at the start of a New Year; there is no better time to start planning a transformation in your outdoor spaces. Whether it be a complete transformation or just a tidy and refresh. As we start to see the nights pulling out it won’t be long until the clocks change and the weather warms. With all the wind and rain recently you might not think so but lets be optimistic. The spring bulbs will soon be breaking the surface, signs of new growth; you’ll soon be planning the lawns first cut. So as you peer out of your window and look wistfully at the windswept garden how do you see yourself spending your lazy weekends? 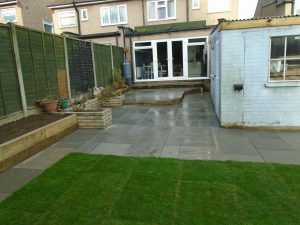 Is your patio area wobbly and in need of new slabs? Could it do with a jet wash and weeding? Have your garden shrubs been allowed to run riot so you can’t see what is what? We know how it is; you were planning on having a good tidy before the winter set in but you never got around to it. We hear it so often; then we have a early warm spell and you can’t relax and enjoy it because the garden has turned into a jungle. 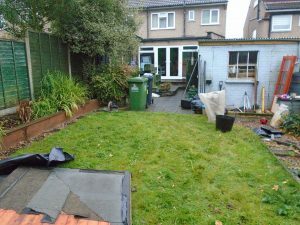 You’ve sat and watched countless gardening programmes which transform a garden; it’ll only take a couple of days right? Reality is slightly different; they have lots of people running about carrying out the works. Can you afford to cover six or ten peoples wages for a three or four day job? So with some careful planning you can make some changes. Prioritise the things you’d like first: somewhere to sit, new shrubs to brighten and bring summer scent or just a simple reclaim so you can see what you have. What ever you are planning it is never to early to start the process. So take the first step and give us a call.